The 11th ODI cricket World Cup 2015 will be played in Australia and New Zealand and now ICC has also announced its schedule. There are total 49 matches in this tournament to be played. 26 of them will be hosted by Australia while the remaining 23 will be hosted by their neighbors New Zealand. Australia has won the title 4 times before this world cup while New Zealand has yet to win this title. 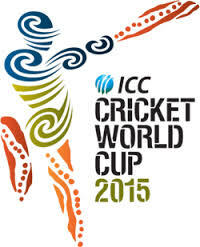 The final match of this ICC world cup will be played at Melbourne Cricket Ground (Australia). After football, cricket is the 2nd most liked game in the world. It is the second occasion that Australia and New Zealand are hosting the world cup. In 1992, they hosted it for the first time and Pakistan under the captaincy of Imran Khan won that tournament. There are two pools, pool A and pool B, for the 14 participating teams of this world cup 2015. It is the debut world cup for Afghanistan while all the other teams have already appeared in world cup once or more.